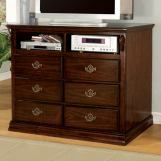 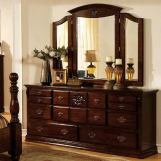 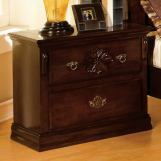 Complement your room with the gentle curves of this classic Tuscan II bedroom set. 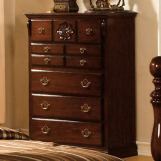 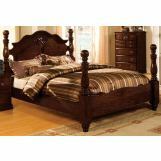 Beautiful blunt arrow feet and sleek round finials adorn the bed. 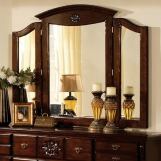 The romantic setting is further enhanced by the glossy dark pine finish, decorative headboard and the unique tri-fold mirror.